RUSH: I asked Cookie to get these next two sound bites when I heard about this. You know, we don’t watch MSNBC here. Granted, Roseanne’s gone but Joy Reid’s still there. I mean, all these leftist wackos who say just as rotten things as Roseanne has said here about Trump and about conservatives, but they survive. And it’s understandable, the way the world works. But yesterday on Morning Joe Thomas “Loopy” Friedman of the New York Times got desperate. They are panicking. If you want evidence that there is no blue wave coming, you just need to listen to these next two sound bites. This is Thomas L. Friedman, international foreign policy columnist for the New York Times, literally begging the handful of people that watch MSNBC to vote Democrat. FRIEDMAN: I only have one piece of advice for people. You have to vote for a Democrat. And I say that as someone who is, you know, I have a lot of very conservative leanings on a lot of issues. I’m for free trade. I’m pro-globalization, pro-business. But the fact is the worst Democrat running for Congress or the Senate today is better than the best Republican because the best Republicans, except those who are tragically dying or retiring, simply will not stand up to this man. 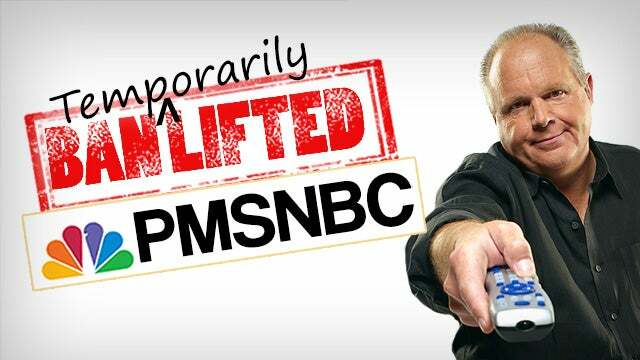 RUSH: They just can’t stand it, they can’t get over it, they can’t take out Trump. RUSH: Here’s the next Friedman bite. I love this. Again, on Morning Joe yesterday, desperately begging, pleading anybody, everybody, vote Democrat. FRIEDMAN: If you see the norms that he is violating, the way he is trashing some of our most cherished institutions — things like the FBI, the Justice Department — the spreading of conspiracy theories from the bully pulpit of the White House, that is a threat to the very fabric of our society and the very fabric of our democracy. So I’m approaching this election coming up unlike any other election. It’s not about gun control, it’s not about abortion, it’s not about high taxes or low taxes. It’s about whether we can get a lever of power that can restrain this man for the next two years, ’cause the man sitting in the Oval Office today is the greatest threat to our democracy. RUSH: Isn’t that…? I mean, these people are in the midst of literally losing it. And you’ll note here with Friedman… Now, Friedman’s in the establishment. He’s be a ranking member. So you don’t criticize the FBI. That’s beyond the pale. You don’t criticize the Justice Department. You don’t do that. That’s threatening our democracy. That’s threatening “the very fabric of our democracy.” Let me tell you what’s threatening our democracy. What’s threatening our democracy is relentless, never ending line of BS that the Russians stole the election. 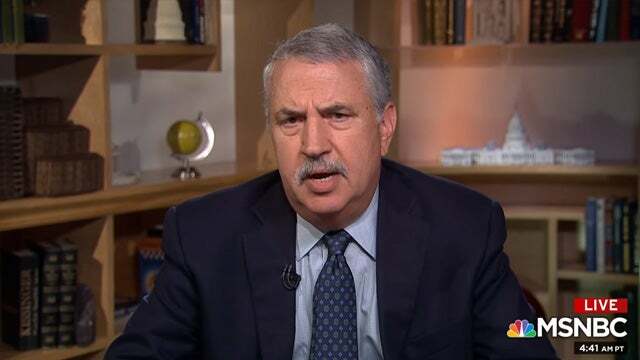 These people — put ’em all in there, Thomas Friedman, the Drive-By Media people, the Democrat Party — are doing more to destroy the presumed integrity and honesty of federal elections than anything Vladimir Putin could have dreamed of doing. This relentless attempt to get rid of Donald Trump by suggesting he stole the election when there’s no evidence for it, and it couldn’t be done. Even Obama admits this! They have themselves tampered with the electoral process, and they have polluted it, folks. They have corrupted it. All Trump did was win an election. All Trump does is stand up for America. These people cannot handle it. And so now they’re panicking about Trump representing a threat to our values, a threat to our democracy. Anybody see Trump’s rally in Nashville last night? Oh, man. He was on again. And I will guarantee you people like Thomas “Loopy” Friedman and any of the left watching this would have to be just desperate. Their hearts sunk. 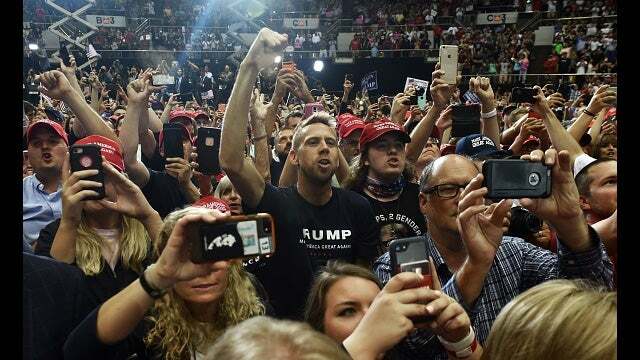 They had been in the throes of depression because they keep waiting for Trump to implode; they keep waiting for Trump’s supporters to abandon him. In their corrupt minds, they keep waiting for everybody to wake up and realize what they realize, that Trump is a joke, he’s a danger and we’ve gotta get rid of him and it’s a nightmare and we’re all gonna wake up. And it’s the exact opposite. Trump is more popular than ever. He has more of a bond with the people that show up at these rallies than ever before, and it was already strong. He has a deeper connection with them. They love him. And then when Trump introduced Bob Corker, some of the loudest boos in human history were heard. Corker — the camera zoomed in on him — looked a little fidgety, a little nervous out there. Trump had these people the palm of his hand and he was simply talking about American greatness, American exceptionalism and restoring it, maintaining it and so forth. I guarantee you these people have all thought the first six months we’re gonna get rid of Trump and that Trump was gonna take himself out. People would wake up — and it’s not trending in their direction. I’ve been there. You know, I’ve been in their shoes. I keep waiting, or did, for cultural depravity to bottom out and recover. “At some point, people are gonna universally sick of this,” and instead it has continued to spiral down now below the gutter. Well, these people are having the same experience. They expect Trump to bottom out — or top out, in this case — and for his fans to have had enough. And there’s no end in sight to it. And they’re beside themselves because, in their minds, they have the power to stop this kind of thing, and they can’t, and they don’t know what to do.